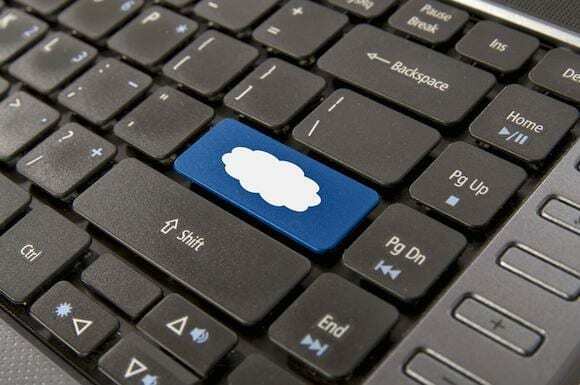 A new term has become commonplace in the discussions of cloud and virtualization computing. In this post, I will explain what hyper-convergence is and ask an important question: is hyper-convergence the right way to go? Convergence is a trend that has occurred in dense server deployments in recent years, particularly with virtualization and cloud deployments. Although convergence is occasionally hardware-based, convergence increasingly leverages software, where this technique tries to compress different layers of hardware into a smaller and more flexible design. Makers of blade servers have been converging networks, such as Fiber Channel over Ethernet (FCoE) and general networking into fewer, but larger capacity NICs thanks to expensive physical switches. Hyper-V engineers have been able to do the same using software mechanisms that are built into Windows Server 2012 and later. In recent times, the term ‘hyper-convergence’ has started to become mainstream, spreading out from the VMware ecosystem and spreading to other brands of virtualization and cloud. Compute: This is where virtual machines execute, and they are often mobile (vMotion or Live Migration) across individual nodes. Storage: This is where the virtual machines and their data are stored. The two tiers are connected together by one or more networks. We can use convergence to reduce the costs of those networks, software-define their creation, and make them more flexible. Hyper-convergence uses those same networking techniques, but it also compresses the two tiers of hardware into a single tier. That means that you deploy one kind of appliance that offer storage, compute, and networking in a single enclosure. If you need more capacity, then you can install another appliance and add it into your cluster or cloud. The collective of appliances work as a cluster with storage being shared and virtualized across the entire collective. If a node fails, then the data is available elsewhere and the virtual machines failover to another node. Is hyper-convergence a good idea? That is the billion dollar question in the world of cloud computing. The selling point for this concept is simplicity. When you look at this idea, you have software-defined storage, software-defined networking, and a simple appliance that you just rack and stack. Your hardware skills requirements plummet. But I do have some concerns that have vendors of these solutions have not put to rest. In fact, I think one of them might have made me more cautious! 1. Is hyper-converged hardware more expensive? The first concern is cost. I have done some digging and an appliance from one of the major players in this market was listed on a third-party site at over $140,000. Surely it must have had a huge capacity. Not so! From what I could tell, it had 5 TB storage, up to 256 GB RAM, and 8 x E5 Xeon cores. To me, it seems that a standard rack server with storage on another tier (SAN, SMB 3.0, or NFS) would be much more cost effective. 2. 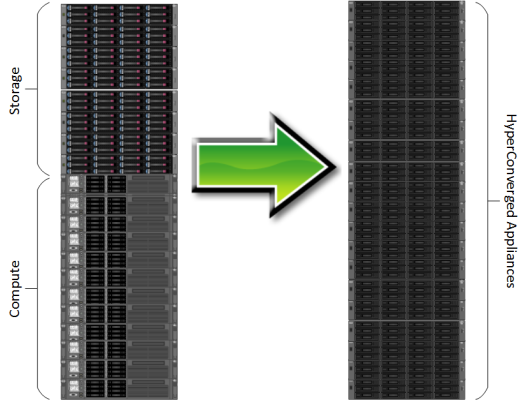 How scalable is hyper-converged hardware? In the hyper-converged data center, if I need more storage, then I have to buy an appliance that includes more network and compute. In the traditional two-tier model, I add more storage independently of my compute tier. It’s early days for hyper-convergence, and I am not sold on the concept, but I’ve not completely made up my mind; I’m willing to listen if any vendor is able to sell me on the economical and logistical benefits of their solutions. What are your thoughts on hyper-convergence? Let us know in the article comments below.